​#MeToo. #TimesUp. #UnapologeticallyBrown. #WithDACA. #ConDACAlogré. #HereToStay. #BlackLivesMatter. #BlackTransLivesMatter. #BlackGirlMagic. #ICantBreathe. #SayHerName. #NoDAPL. #IStandWithAhmed. #CrimingWhileWhite. #OscarsSoWhite. And (in the words of Erykah Badu) “it goes on and on and on.” You could trace any one of these hashtags and uncover a range of social protests and everyday folk doing all that they can to disrupt the oppressions surrounding their lived realities. These hashtags represent more than just social media trends or a fleeting moment. 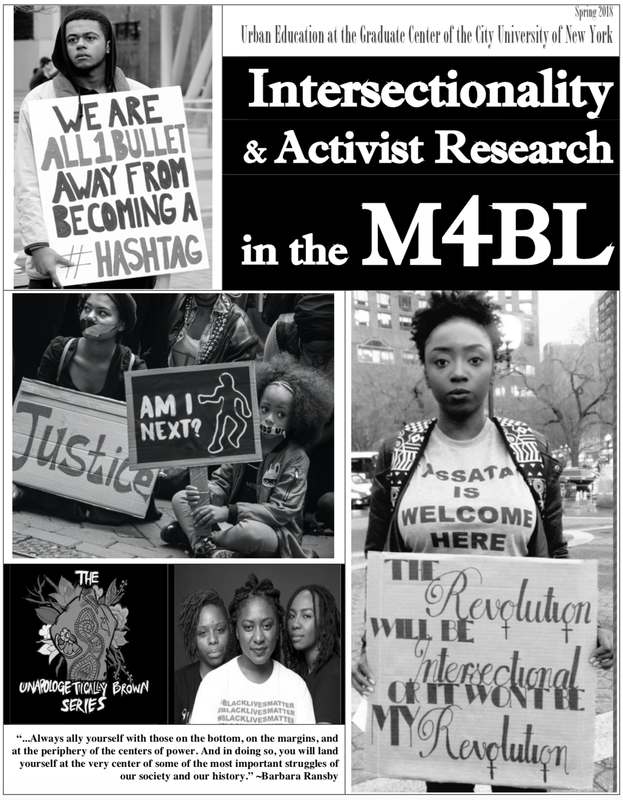 These are social movements that frame the time and space in which we do and live our research. This class is a mixture of many things. As your teacher, I am styling this class to be part writing workshop, part graduate seminar, part listening session, part qualitative inquiry… and I will need YOU to style it alllll the way DOPE. ​You can expect anywhere from 50-100 pages of reading each week with an accompanying writing assignment. Each week there will be some kind of writing homework rather than an end-of-the-term “paper.” As a compositionist-rhetorician, asking you to write only once or twice in a semester seems strange; it’s like someone cooking only once or twice a year and calling themselves the world’s top chef. We’ll cook up stuff a little more in here. We’ll do short assignments each week and build out a digital space as the final work/ end of the class. ​"When They Call You a Terrorist"
​ "A Third University Is Possible"
​ "Come & Get Some Soul Food"